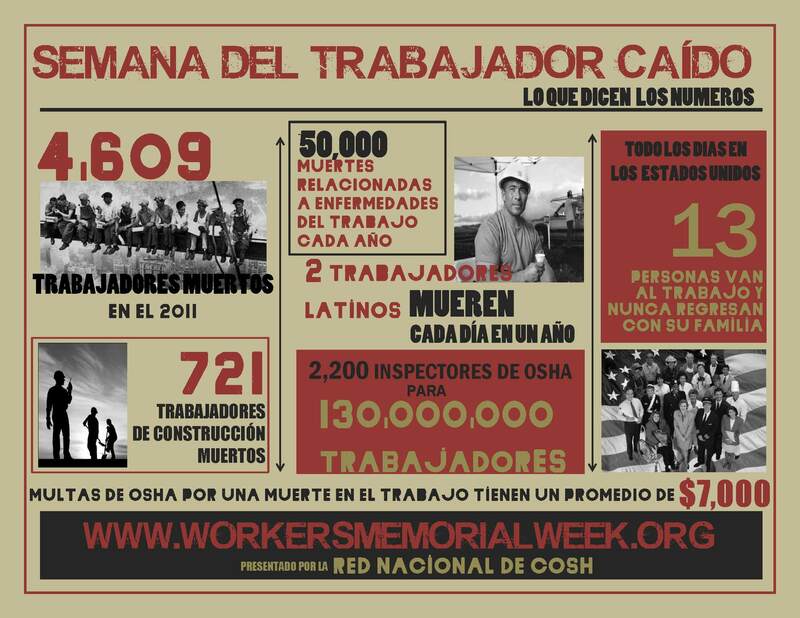 An Archive of Workers' Memorial Week Resources from previous years. 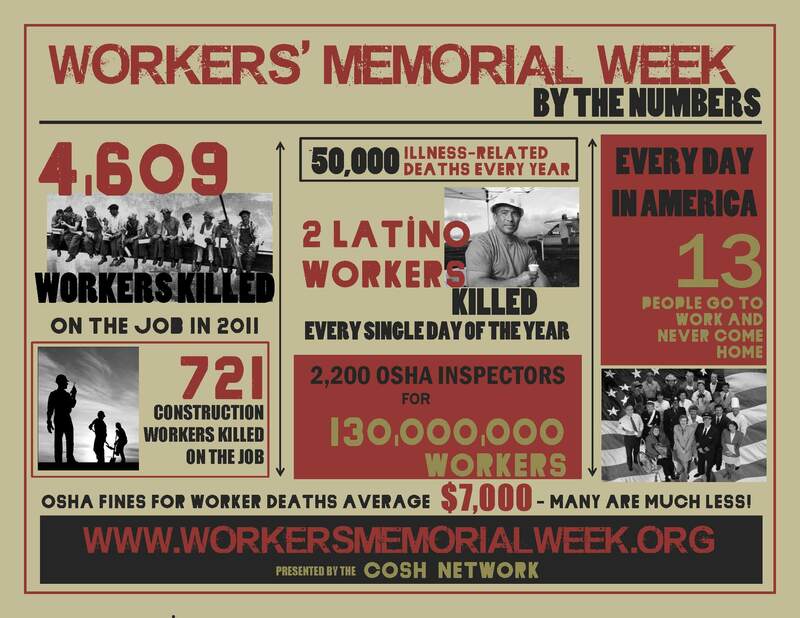 Workers' Memorial Day 2013 events. National Report: "Preventable Deaths: The Tragedy of Workplace Fatalities"
National Report (2013): "Preventable Deaths: The Tragedy of Workplace Fatalities"
"North Carolina Workers Dying for a Job: A 2013 Report on Worker Fatalities in North Carolina"
MassCOSH Report (2013): "Dying for Work in Massachusetts"
Worksafe's (California) Report (2013): "Dying at Work in California"
Tennessee Report (2013): "Tennessee Workers: Dying for a Job"